This post will help you troubleshoot MMS problems on the #Apple iPhone 6s (#iPhone6s) running the iOS 9.3 (#iOS) platform. Read on to learn what needs to be done when your iPhone is unable to send/receive multimedia messages, or you cannot send/receive messages with photos, video or audio file attachments with the iOS 9.3 as operating system on your device. Just like other major firmware updates Apple has previously released, the iOS 9 update also has brought both bad and good upshots to iPhone users who have gone for an upgrade. Most of those who ended up having post-update issues have attempted to install the next firmware patches that are said to contain bug fixes, but then again, to no avail. In an attempt to help, I have rounded up a few potential solutions and helpful workarounds used by other iPhone owners who have dealt with pertinent issues on MMS sending or receiving after iOS 9 update. You may give any of these methods a shot while waiting for the next fix patch from Apple to arrive. Network problems such as outages, no service, or unavailable network. Incorrect settings configuration particularly those within the messaging application. Software glitches like faulty apps affecting message sending and receiving capabilities of the device. Below are step-by-step procedures that will help you determine and possibly resolve the underlying cause of the MMS problem you are facing. But before you begin, make sure your account is in good standing and that the service is active. If your account status is all good and yet, you still can’t send or receive MMS with your iPhone, then you may start troubleshooting the problem using these subsequent methods. Important Note: Be sure to test and see if the issue is fixed after completing each step. Continue to the next step if necessary. Mobile data must be turned on for you to be able to send multimedia messages or MMS. To check, just go to Settings-> Cellular-> Cellular Data, and if necessary, toggle the switch next to this option to enable or turn on mobile data on your iPhone. Method 2: Make sure your iPhone is connected to your network. Open a webpage or site. If the data connection fails, then try to update data profile. Open the Phone app by tapping Phone from the Home screen. On the keypad or dialer, type in or dial ##873283# (for Sprint iPhone users). The code may vary between carriers. If prompted with the Starting service update message, tap OK to proceed. Wait for the profile update to finish. After updating the profile, test your iPhone and see if MMS is already working fine. Method 3: Reboot your iPhone. Performing a soft reset or restart on your iPhone can help eliminate minor glitches to the system, which in this case, may have affected the messaging function of your device. Any of your content or data won’t be erased during the process. 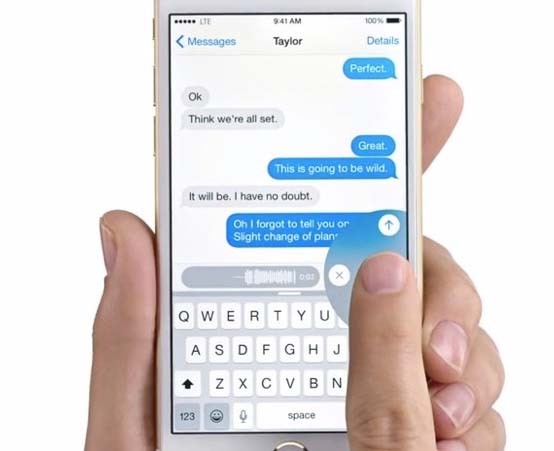 From the Home screen, press and hold the Power key and the Home key simultaneously. When you see the Apple logo on screen, release both keys. Wait for your iPhone to complete the reboot process. After the reboot, test to see if MMS messaging is already working fine. Check and make sure your iPhone is connected to the Internet. Typically, you will be prompted if an update is available. If there is, follow the onscreen instructions to proceed with the carrier settings update process. If you’re seeing any error messages or warning prompts, take note of the error message for some clues about what went wrong and what needs to be done in order to get it fixed. For example, if you see a prompt saying the media file is too large, it means that the MMS file you are trying to send has exceeded the maximum file size limit and so it couldn’t be sent. In this regard, try to reduce the file size using a compatible editing program available in the Apple App Store. Alternatively, you can just send the file through email. Usually, email providers offer a higher file size limit, so you may opt for this method instead. Tap on the red exclamation point icon. Tap to select Try Again from the given options. If you still can’t send the message, tap the red exclamation point icon again, and then tap Send as Text Message. Also ensure that the recipient’s phone number or email address you’ve entered is correct or valid. If your phone has SIM card installed, try to remove and then re-install the SIM card, then reboot your iPhone. Make sure the SIM card is correctly installed and not damaged. You may contact your carrier for further assistance on SIM card damage testing or replacement. Clearing of message attachments and old conversations can also help free up corrupt files from the Message app. You can use any of the best apps from the App Store to do the clearing of cache and data (junk files) from the Message/iMessage app. If you still can’t send or receive MMS after trying every possible solution available, contact Apple Support and escalate the problem and ask for recommendations. You may also contact your carrier for other options. We are here to help! Should you need further assistance in dealing with other issues on your iPhone or other iDevices, you may do so by filling up this form available in our iPhone Troubleshooting Page. Simply fill up the form with all the required information and then submit it to us. We would appreciate if you could provide us with all significant details including error codes, warning messages, or any other prompts you may get, as they will help us determine what has possibly gone wrong with your device and what needs to be done in order to fix it. The more information we have the easier for us to come up with more efficient solution and recommendations. You may also browse for more solutions to other iDevice issues we’ve previously addressed through dedicated contents posted in our troubleshooting pages.